This vintage real photo postcard features a couple in uniform. I believe that the gentleman is a railroad worker and the woman is a nurse. The message on the reverse of the postcard indicates that the couple are named Harry and Grace. The pair look quite dour. This postcard is in excellent condition (see scans). 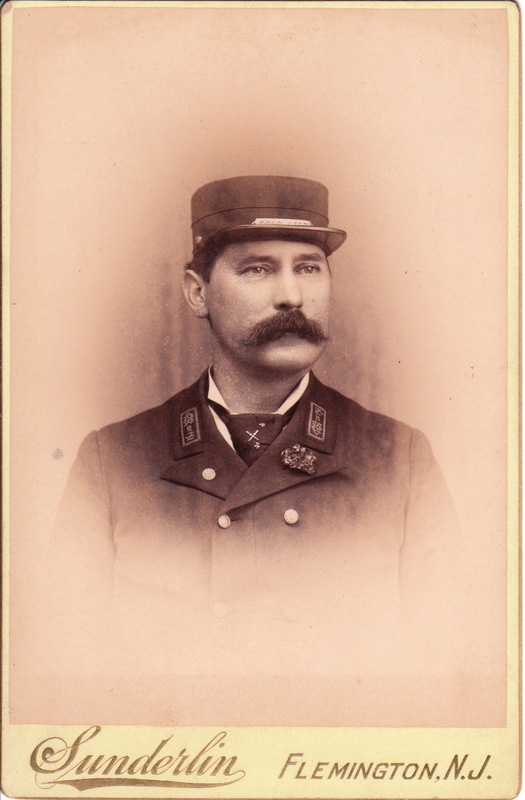 J. C. Sunderlin produced this portrait of a train conductor in full uniform. Sunderlin operated a studio on Main Street in Flemington, New Jersey. The subject of this photograph is wearing a cap that has a plate tag which states “Conductor”. The patches on the lapel of his jacket indicate that he was employed by the “Railroad of New Jersey”. It is likely, but not certain, that this gentleman worked for the Central Railroad of New Jersey. This railway line has its roots in the 1830’s but adopted the Central Railroad name in 1849. Note this gentleman’s terrific bushy mustache. 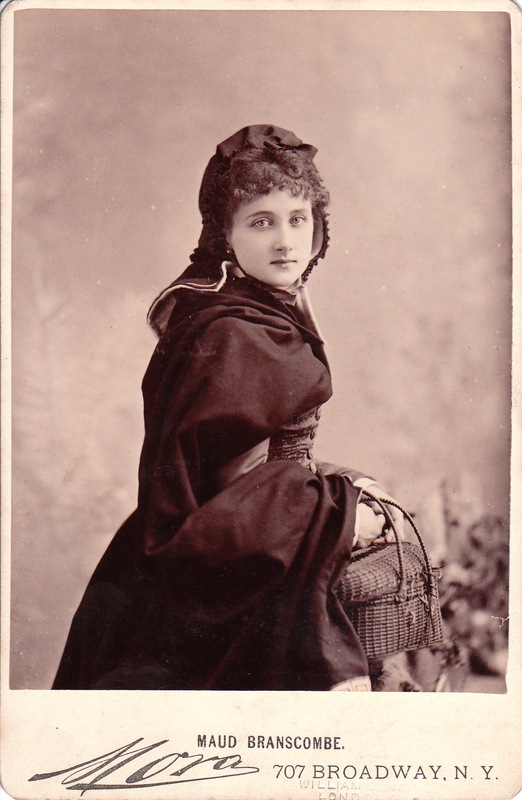 The photographer, John Corbin Sunderlin was born in 1835 at Fort Anne, New York. His birth name was John Corbin Vorce but his mother died during his infancy and he was adopted at nine years of age. He married Harriet A. Penny in 1855 and the couple had five children. In 1856 he left farming for photography. He became an itinerate photographer and his studio was located on a horse drawn wagon. During the civil war he enlisted in the 5th Vermont Volunteer Infantry where he reached the rank of sergeant. His obituary states that he served three years in participated in eight major battles until he was wounded at Fredericksburg. After the war he settled in Fort Edward, New York. While living in Fort Edward he was a member of the Grand Army of the Republic, the Masons, Odd Fellows, and the New York State Prohibition Party. 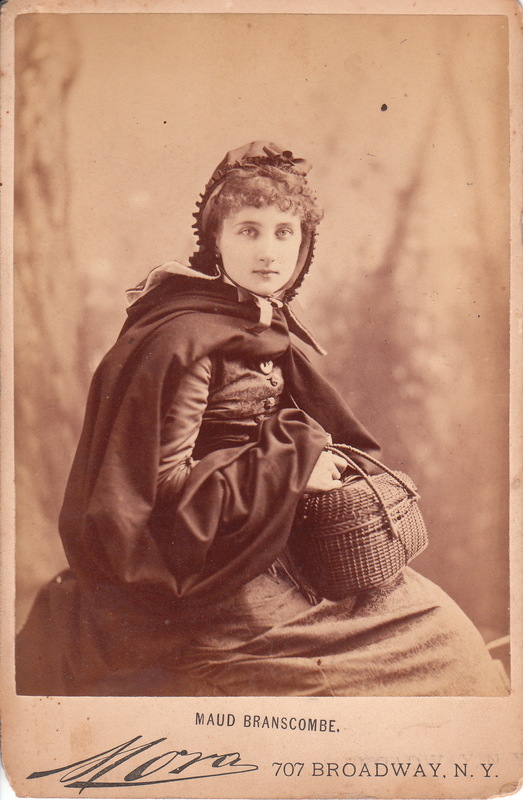 He worked as a photographer until 1870 when he was ordained by the Methodist Church. In 1880 he left his ministry work and returned to his career in photography. He operated a studio in Flemington until 1902 when he bought a studio in Blairstown, New Jersey from William C. Walters. He remained in Blairstown until his death from pneumonia in 1911. 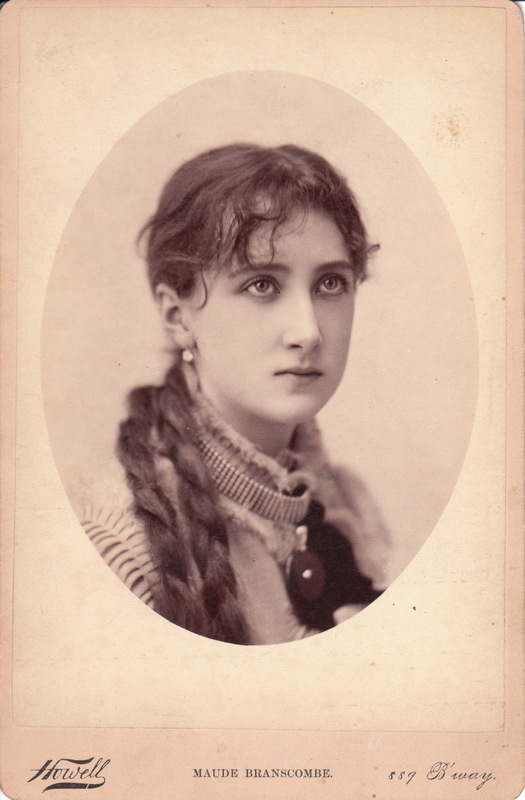 This cabinet card features a portrait of a very lovely lady posing in the studio of Blakeslee & Moore in Ashtabula, Ohio. The town of Ashtabula was the site of a major train wreck in 1876 and one of the firemen who responded to the resulting blaze was Frederick W. Blakeslee. Besides being a firefighter, he was also a photographer and he used his camera to record the aftermath of the disaster. The image he made has become legendary in the history of disasters and the history of Ashtabula. He sold thousands of prints of the scene. Fred W. Blakeslee was in business in Ashtabula from 1870 to 1897. Blakeslee was born in Ohio in 1843. He was a lifelong resident of Ashtabula. At the end of the civil war he opened a photography studio in the town. Beginning the 1870’s he was joined by Frank C Moore (1851-1907). For a time, they operated a branch in Geneva, Ohio. Moore began his photography career as an apprentice in Ashtabula and then ran his own studio in Lima, Ohio between 1870 and 1875. Moore’s partnership with Blakeslee ended in 1894. Blakeslee’s son Frederick K Blakeslee (1880-?) also became a photographer in Ashtabula. The story of the “Ashtabula Train Disaster” is immensely tragic. The accident is thought to have been caused mainly by the collapse of a bridge owned by the Lake Shore and Michigan Railroad. The bridge was a joint creation by Charles Collins (engineer) and Amasa Stone (architect and designer). On a winter night in 1876, a train carrying 159 passengers and crew crossed over the bridge and when the first engine just passed the far side of the bridge, the bridge began to collapse and the rest of the train fell into the ravine. Ninety-two people were killed in the accident and most died from fires that were started from the train car’s oil lamps and stoves. The passengers were trapped in the burning crushed cars. The accident happened after a heavy snow storm and the rescuers were ill prepared and not equipped to help the poor victims of the train wreck. Charles Collins testified about the bridge design to an investigative jury and after finishing his tearful testimony, went home and shot himself in the head. Amasa Stone was held partially responsible for the accident, but he refused to accept blame. He theorized that the train jumped its tracks and destroyed the bridge. However, it is probable that he suffered severely from the incident, and about seven years later, he shot himself in the heart. Two uniformed men strike an affectionate pose for a studio photographer in Kansas City, Missouri. Magnifying the photograph did not help definitively determine if the men were railroad conductors, firemen, police officers, or some other uniformed occupation. 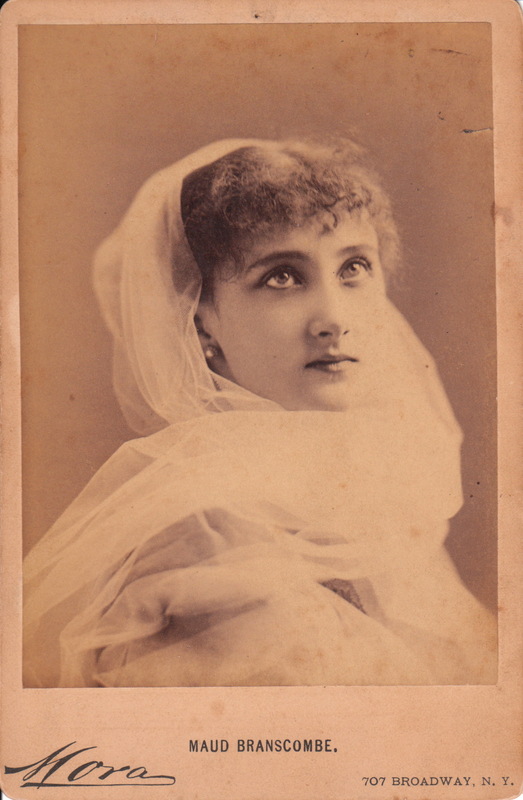 The photographer of this image is the Driffill studio. 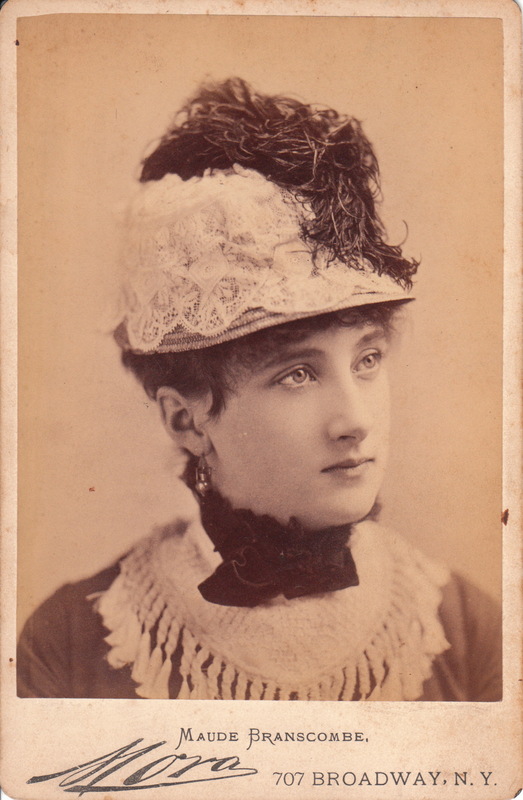 Mrs. Kittie Driffill operated a photography studio at 615 West 6th Street, in Kansas City. 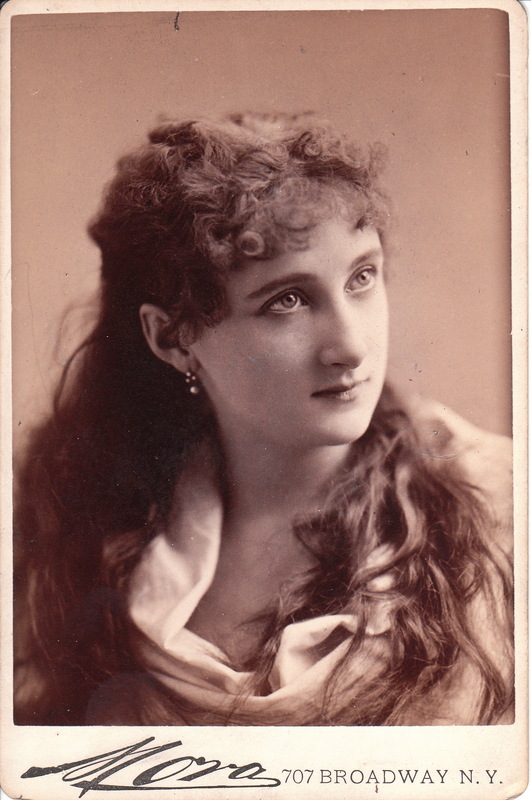 City business directories confirm that she had a studio in Kansas City between at least 1887 and 1910. According to the 1900 United States Census, Kittie worked the business with her son Edward Mack. 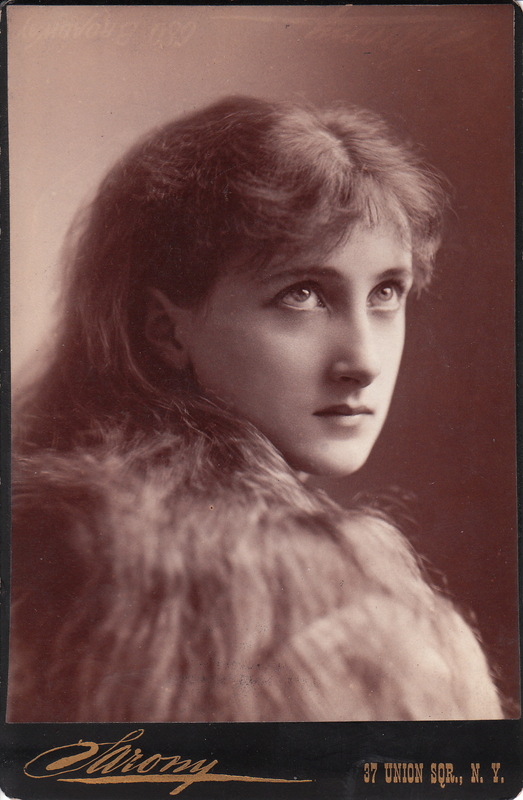 In 1907 she worked with her husband Thomas Driffill.. Kittie Driffill also used the first name of Katherine. This cabinet card is a staged portrait of a man at work. The man is wearing a uniform and most likely he is a railroad worker. He may be an engineer or possibly a conductor. 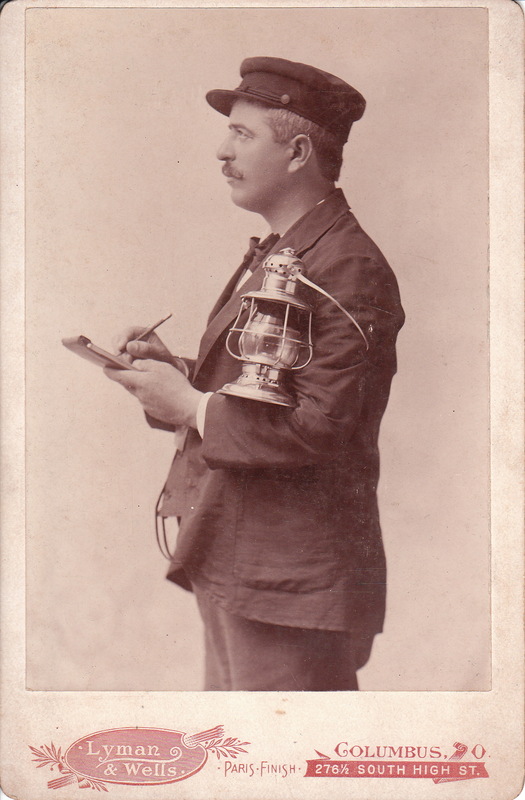 He is holding a brass lantern and writing on a pad. The man’s facial expression seems to say that he means business. One can easily imagine seeing him standing next to a train at a railroad station taking notes. 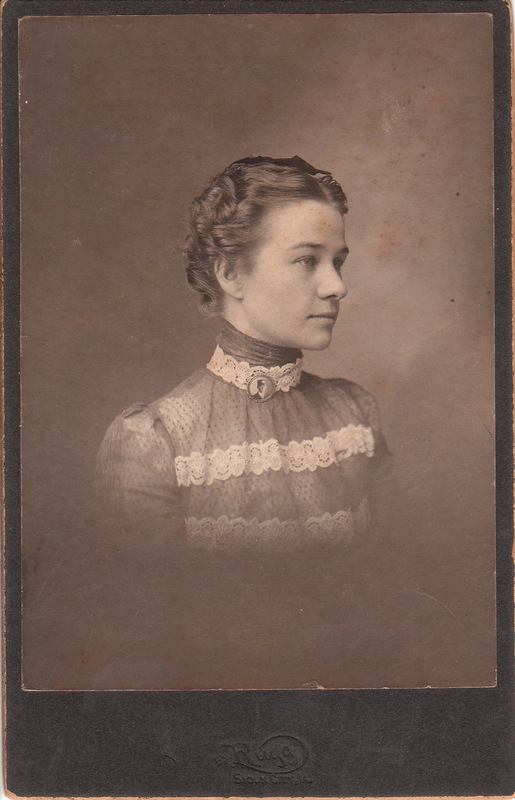 The photographer of this cabinet card is Lyman & Wells, of Columbus, Ohio. 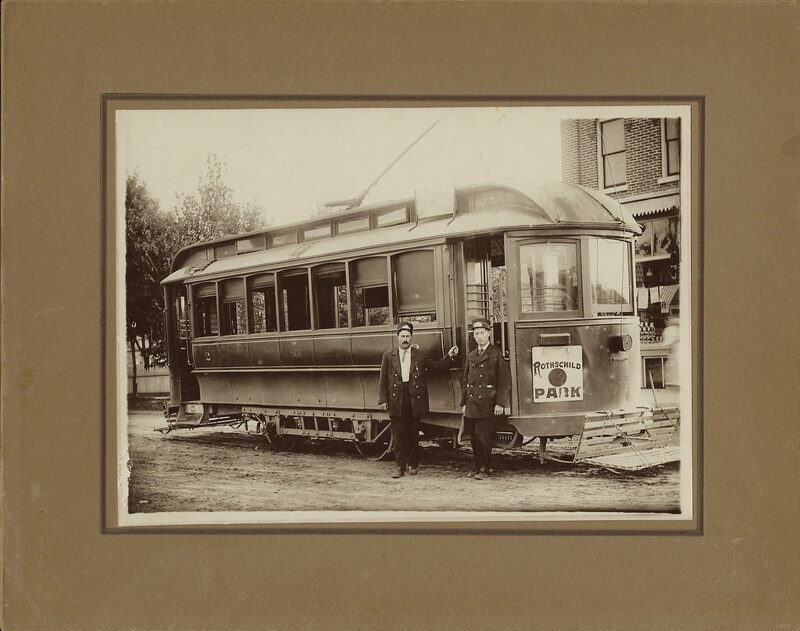 This Cabinet card is an image of a railway or trolley car worker. The badge on his cap is labeled “motorman”. 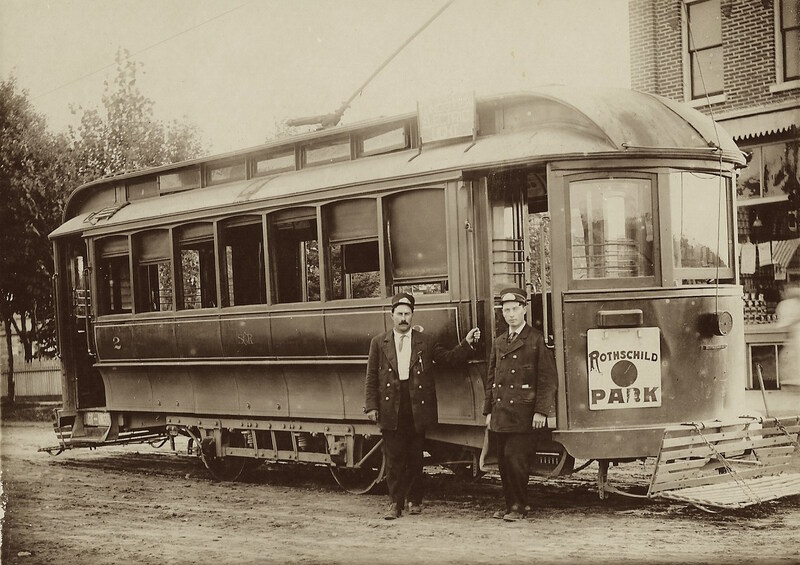 If he worked for a trolley line, than he worked for the Omaha Cable Tramway Company which operated in Omaha between 1884 and 1894. Instead, he may have worked on a train belonging to the Union Pacific Railroad which was one of several railroads operating in Omaha, Nebraska. It would be great to read some comments from readers who may have expertise or knowledge concerning the railway history of Omaha. The photographer of this photograph is Gray, of Omaha. To view other photographs by Gray, click on the category “Photographer: Gray (NE)”.